As an architectural pattern, microservices have been getting a lot of attention in the last several years, reaching a level of adoption and evangelism that would be hard for most practitioners to ignore. But while microservices architectures have received wide praise as changing the application development and production process on the whole, there are many that dismiss microservices as nothing new, or to some, a different name for service-oriented architecture (SOA). It’s important to explore both the drivers that shaped how microservices evolved into the pattern we know today, and also to understand what tools and services have made its current popularity so widely accessible. 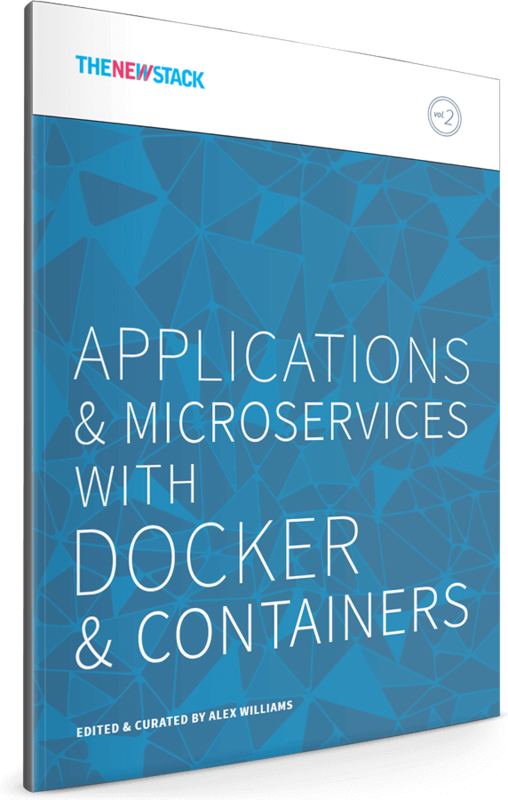 In this volume, we explore the way that container-based microservices have impacted application development and delivery. We take a closer look at what containers mean to the process of creating and utilizing microservices, and how container technology has become so important in implementing the pattern of microservices. We also explore what makes up a microservices architecture, offer some best practices for creating and managing microservices, as well as some processes around migrating monolithic applications to microservices. And we provide case studies for containers in production. There is also a great deal of original research we’ve performed about the open source container ecosystem that we are eager to share with our broader community; this series’ focus on open source communities is a continuing topic that we are looking to expand upon, and we welcome feedback on what we’ve done so far. We see this ebook as an important step in building off our first ebook, “The Docker & Container Ecosystem.” Understanding the role of containers and microservices in application development and architecture will allow us to later address the complex topics ahead in our next ebook, “Automation & Orchestration with Docker & Containers,” where we’ll cover orchestration, service discovery, schedulers, cluster management, configuration management, and automation across distributed systems. This ebook, as well as the three to come in this series, breaks down our analysis of the ecosystem into areas of focus that need the added depth of an entire book. We discovered early on that there’s much more to say about the container ecosystem, and this series is likely just the start for us. We’re constantly looking for new topics in need of greater focus and education, and we welcome any feedback on what areas we should tackle next. Thanks so much for your interest in our ebook series. Please reach out to our team any time with feedback, thoughts, and ideas for the future.